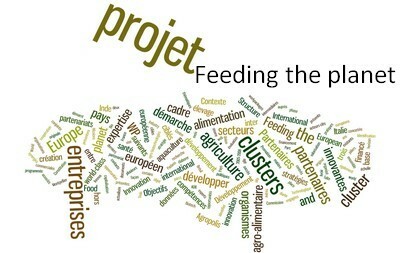 Feeding The Planet –– European Bio Food Clusters on the world stage from biofoodcluster on Vimeo. Feeding The Planet –– European Bio Food Clusters on the world stage - Long version from biofoodcluster on Vimeo. The project started on November 1st, 2012 for two years. 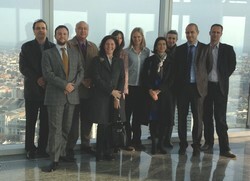 Objectives : fostering partnerships connecting the European World Class Cluster with the clusters in the targeted countries. The project started on 1st November 2012 for 2 years; it is funded by the EC General Direction "Enterprise and Industry", in the framework of Initiative Europe Innova CIP program (Competitiveness and Innovation framework Program). This project provides continuity to the European project Network of European Agro Biotech Clusters (ABC Network 2005-2008) funded by the same Direction, which enabled, on the one hand to set up a network at European scale and, on the other hand, to draw up several documents on the barriers and good practices related to the innovation process in agriculture and food as well as strategic recommendations for the setting up and management of clusters focusing on agricultural and agro-biotechnologies issues. The project aims at fostering cooperation between European clusters with a view to internationalization strategies outside Europe. The purpose is to develop joint strategies for the development of partnerships at the international level in the framework of a cluster policy. This action concerns the 3 pillars of the cluster’s triple propeller, namely research and training organizations, innovative companies (in agriculture, agro-food and agro-biotechnologies sectors) and local authorities. Development of inter-clusters and inter-companies collaborations at the international level essentially for the benefit of innovative European companies in the 3 regions involved and similar companies in the targeted countries: the USA, Brazil, Chile and India. Identification of the world-class cluster needs in order to draw up a joint internalization strategy.